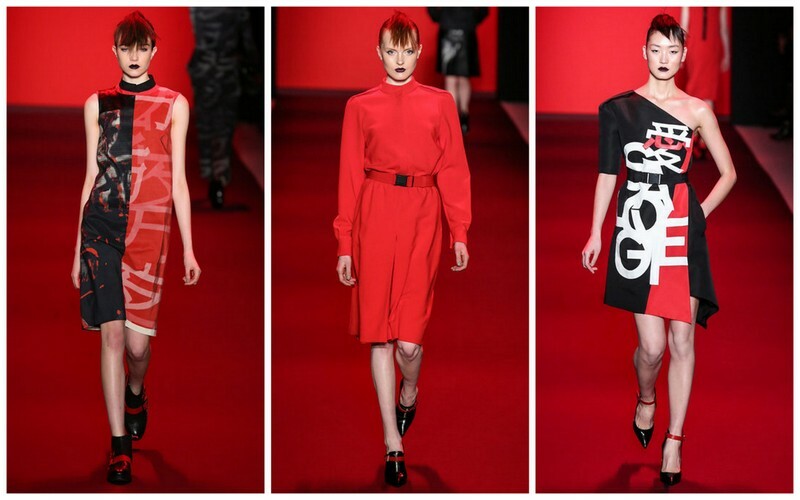 An eclectic mix of punk rock, pop culture, and political influences were apart of the concept for Vivienne Tam’s fall/winter 2013 collection. With a runway show that paralleled the start of the Chinese New Year, Tam was inspired by current events and channeled her inspirations into a vivacious, fall collection, which showcased vivid and bold political statements. From shirts riddled with Obama caricatures, strapless gowns with printed bar codes, to a one-shoulder dress screened with a letter to Chairman Mao; Tam’s latest collection features a strong political message over a strikingly stylish high-end ready-to-wear collection. 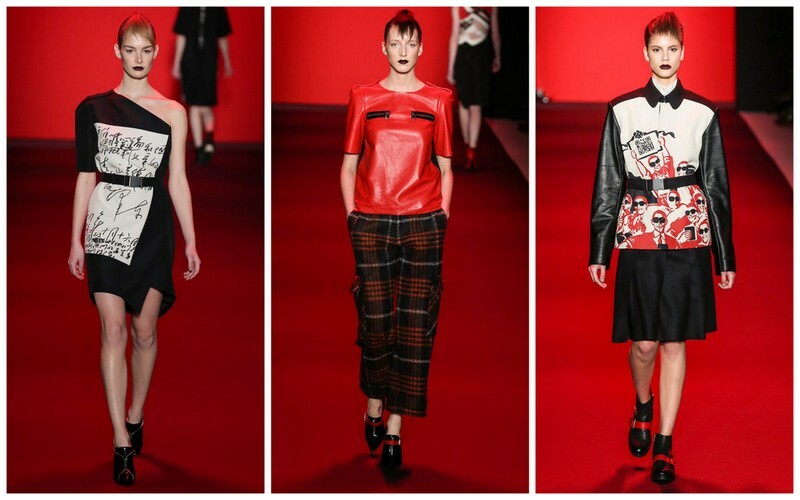 The rebellious attitude of the punk movement can be seen throughout the collection with edgy leather jackets and biker boots over a dark red, black, and white color palette. “I was inspired by the conceptual underpinnings of the punk movement questioning the status quo,” says Tam. Silhouettes were slim and spunky to match the vibe of the forthright designs. For fall 2013 Tam woman is a sophisticated modern fashionista who transcends the boundaries of fashion by encouraging a cultural dialogue about the world around her. Current events and the emerging trends help Tam translate her politico-fashion manifesto into an assortment of unique and contextual designs that represent the contemporary educated woman who stays ahead of the trend as well as staying aware the political climate. All these contrasting elements transform Tam’s vision into a textured mix of political statements and trendy fashion for a stunningly vibrant collection.